To be an established and prominent producer in the energy industry, with the focus on meeting the strict and demanding needs of worldwide customers. To produce high grade premium coal in our never ending pursuit to maximize efficient and environmentally friendly source of energy for our premium customers. PT.BOSS operates and supply coal to premium customers. With its High Grade coal quality (high CV, low Sulphur and low Ash) , the company has become one of the very few Indonesian coal companies that is able to penetrate the Japanese Market. BOSS coal currently commands a premium over Australian Newcastle Coal pricing, as it offers significantly lower ash than its Australian alternative. 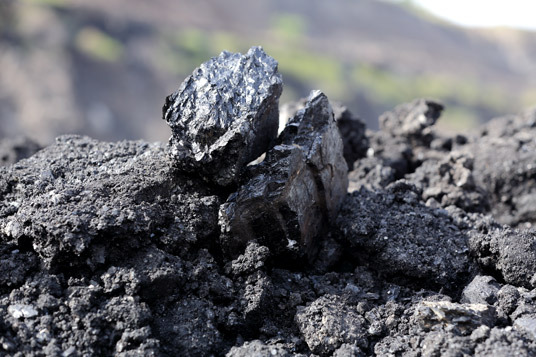 With the company’s presence and acceptance in the Japanese Market, the company will ramp up the production to expand and diversify new customer base in Japan and new markets for incremental coal volume as well as develop the cooperation with leading coal player such as Banpu Group, Itochu and Glencore etc. Being the first and the only coal company in Indonesia to secure exploration funding from the Japanese Government through its agency Japan Oil Gas Metal Corporation (JOGMEC).